It’s free writing time! I love hearing about how the Lord uses these (sometimes randomly selected) writing prompts to stir your heart and mind. If you’re new here, my name is Kate and I provide a one word prompt every week for you to think about then free write on for five minutes flat. You’re welcome to share what you’ve written by linking up your own blog post below, or sharing in the comments section! 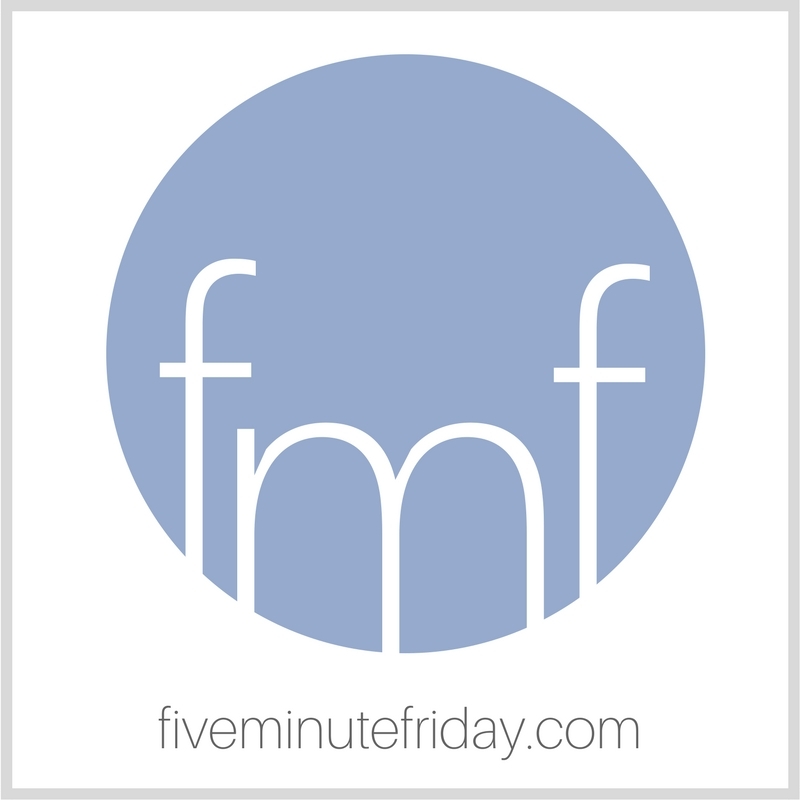 Learn more about how the Five Minute Friday link-up works here. In case you missed the news, my family and I will be traveling to South Africa from June 8th through August 13th. I still plan to host the regular FMF link-ups while I’m away, but I won’t be able to join in on the weekly Twitter parties at #fmfparty. Don’t worry, though! The lovely Anita Ojeda and Jeanne Takenaka will be covering for me on Twitter while I’m gone. Be sure to follow them (click their names above) and join in at #fmfparty between 8:45-9:45pm EST every Thursday for some fun and writerly fellowship. What comes to mind when you think of the word, RETURN? Share with us in five minutes or less! In exactly one week, my husband, three kids and I will return to South Africa for the first time in five and a half years. When we left, we didn’t know we’d be gone this long. Now as I start packing bags, I can’t help but wonder what it will be like. Will South Africa remember me? By the time I left, we’d spent a decade together. She held each of my children the moment they gasped their first breaths. They’re much taller now, and more mature. Will they recognize her curves and edges, and the way her coastline juts into the salty sea? I return with grown children and far more grey hairs, and I wonder if she’ll recognize us. Will the biltong and boerewors taste the same as I remember it? Will I remember to lock my car door and hold tight to the purse on my shoulder? Will I take the time to breathe deeply until the scents fill my lungs and imprint in my memory? Want to come to South Africa with me? Affiliate links used above. Thanks for your support! A year after I had left South Africa, I went back and I also didn’t know what to expect. It was a wild mixture of sadness, disillusion but also immense blessing, clarification and strengthening. I am glad I went. I wish you a good time with family and friends. May you rediscover treasured places and fall in love with new things as well. May you be inspired and encouraged and dive into all the precious memories that light the path of the future. As we progressed from Vancouver Island to Alberta to visit my terminally ill brother, I couldn’t help but return to our growing up years. So many memories came to me, some good, some of youthful embarrassment and some requiring forgiveness of others and myself. His illness will shorten his life significantly; I say that because of our strong family genes and not because I know God’s plan for him. As ever, when you are faced with death, you are faced with your own mortality. Memories are continuing to make me aware of life’s purpose. Praying for you and your family, Kate. You are going to have a wonderful holiday – we are eyebrow deep in packing up the house of 30 years so last week I didn’t pause and this week I didn’t return. BUT I will be back!!! Psalm 91 prayers all over your family, Kate. I’m praying for safe journey and an enjoyable memory making experience. Blessings! I’m praying for your safe journey and for wonderful memory making experiences. Blessings! I hope you have safe travels and are able to enjoy every minute to the fullest. Thanks for hosting this link up. Wow, a week. Time goes by quicker as we age. I hope you have a blessed and awe-filled trip returning home. Your prompt this week reminded me of what an awesome writer you are. I really enjoy your shares. I want a sequel!